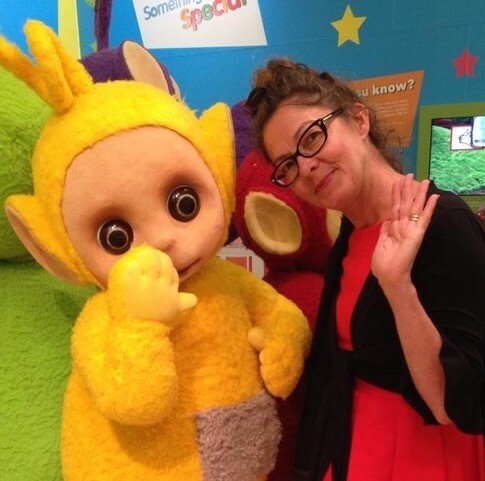 Nikky Smedley is a Creative Education Consultant (also known for her previous role as Laa Laa in the Teletubbies! ), and will be giving an interactive workshop called “Create, Perform, Teach!” at Childcare Expo Midlands on Saturday 29th September at 2.30pm. On the surface, there may not seem to be a particularly obvious correlation between the working life of a professional performer and that of an EYFS practitioner, but the similarities are there. Our Statutory Framework lays down three different ways that children learn: playing and exploring; active learning; and creating and thinking critically – not just characteristics of effective teaching and learning, but essentials in the toolkit of any performer! In the world of performance, the audience is the most important thing, but unless the actors know how to act, the dancers know how to dance, the musicians can play, the singers can sing, then the audience can have a pretty grim time. It’s the same in the classroom. Naturally the children’s needs are paramount, but the more skills the practitioner has to draw on, the happier and more confident they will feel in their ability to deliver, and so the more the children will get out of the experience. 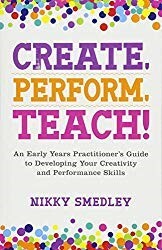 I am interested in increasing ability and confidence in the skills normally more associated with performers; storytelling, puppetry, music, movement and more, that benefit practitioners directly, as well as the children they teach. * Having clear roles – Children love to be given responsibility, so if there are regular little tasks that need taking care of, put someone in charge of each one, perhaps for a week at a time. * Warm-up and Trust Exercises – A short physical warm-up to get the day started can work well, and if it does so for you, then try adding in movements where the children have to rely on each other (sitting leaning back to back for example) to help with co-operation skills. * Rehearsals – We mostly don’t get it right first time around. Let everyone know that that’s okay, and that practising can be as worthwhile as achieving the goal. * We all contribute – Create an atmosphere in which everyone feels safe enough to make a contribution. Performers lay themselves on the line all the time, it’s very exposing. We should remember that small children can feel that way too. * Applaud – Give praise sincerely, specifically and often. Encouragement is one of the top factors for building good learners. Help your children to recognise and acknowledge achievement in one another and use praise to build that group feeling. 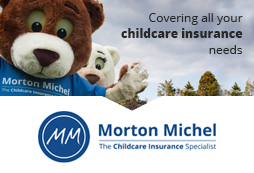 Don’t miss Nikky’s workshop at Childcare Expo Midlands – register for your FREE ticket today! She has also done a TED talk called ‘Play. Laugh. Shut Up.’ which you can find on YouTube.